At Fox Valley Veterinary Service we offer the highest level of care for your canine companion, and treat them like we would our own family members. 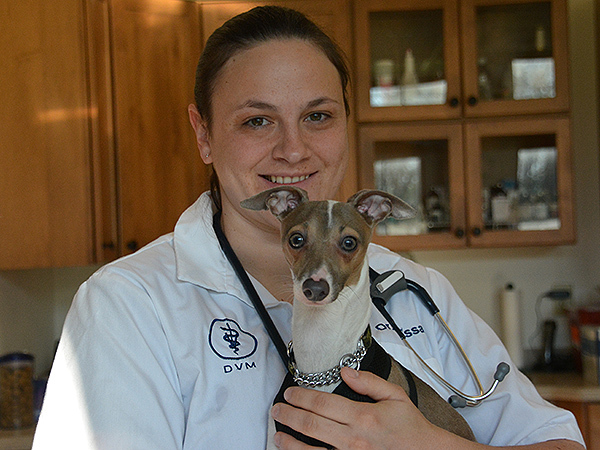 Our dedicated Veterinarians believe in providing the finest professional healthcare recommendations. We work in partnership with pet owners to provide individualized care that is unique to each pet's lifestyle needs. Our proactive philosophy has an emphasis on wellness and we share with you how to keep your pet healthy throughout their lifetime. Our friendly, compassionate team is experienced in providing a number of services from nose-to-tail to help your loved one live a longer, happier life. We are committed to providing a stress free visit for your canine companion. This means we take special precautions to decrease your pet's anxiety while they are here visiting us. If you are out and about with your dog, stop by the clinic! A friendly visit with treats and petting can help reduce anxiety in general at a vet clinic. Help us make your pet's experience a better one.